Before: It was the perfect summer of first kisses, skinny-dipping, and bonfires by the lake. Joy, Tali, Luce, and Zoe knew their final summer at Camp Okahatchee would come to an end, but they swore they’d stay friends. After: Now, two years later, their bond has faded along with those memories. Then: That is, until the fateful flash of a photo booth camera transports the four of them back in time, to the summer they were fifteen—the summer everything changed. Now: The girls must recreate the past in order to return to the present. As they live through their second-chance summer, the mystery behind their lost friendship unravels, and a dark secret threatens to tear the girls apart all over again. 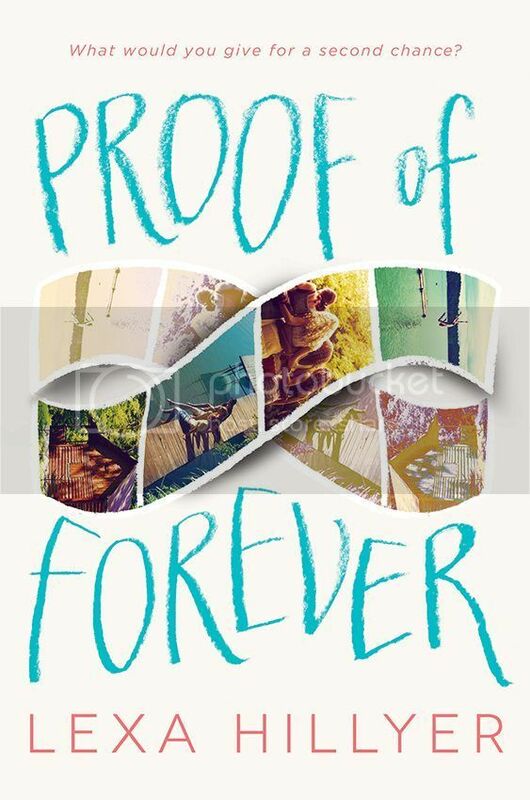 The summary for Proof of Forever instantly had me curious. I haven’t read that many time-travel books, so I’m always curious to read a new one to compare to the ones that I have read. I have to admit, those that I have read have all been different and interesting, and Proof of Forever was no exception. Zoe, Tali, Luce, and Joy were the best of friends during their final summer at Camp Okahatchee, and they promised that they would be best friends forever. But life happens, and their friendship has all but faded away. Two years later, all the girls are back at Camp Okahatchee for the end of the year reunion, the biggest night of the year for the camp. They are almost strangers when they meet again at the camp, but decide to take one last photo together in the famous reunion photo booth. But, when the camera flashes, everything changes, and they are transported back into the past, two years beforehand. Is this a second chance at changing the past for these girls?? To be honest, I had a hard time connecting to these girls in the beginning of the book. I was worried that I wouldn’t be able to connect with them at all. The last time they had seen each other was at their last year of camp two years before. Even though the girls had all been the best of friends at the time, they had drifted apart since then, especially after Joy disappeared from their lives. So when they first get back together in the book, they aren’t close at all, and it’s almost painful to even read. But as the story goes along, the bond between them slowly starts to reform, and I enjoyed watching these relationships grow. Also, since the story was told from each girl’s viewpoint, we get all the sides of their story, and that was really interesting. While I worried in the beginning about these girls, they definitely grew on me over time. I really liked the storyline for the book. Who wouldn’t want to go back in time and get a second chance at your past? Ok, honestly… I probably wouldn’t, but I know a lot of people that would jump on the opportunity. There are a couple twists and turns throughout the story, a few plot twists I saw coming, but were still interesting. I really loved the setting of the book the most. I especially love summer themed books at the moment, and with this one being at summer camp as well, I enjoyed it even more. 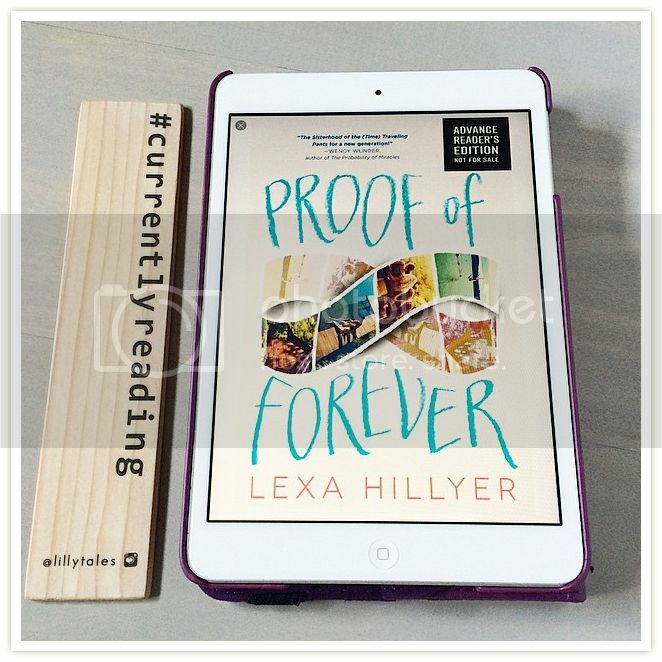 Overall; I found Proof of Forever to be a quick, fun, summer read. If you’d taken away the time travel parts of the book, it would still be a fun book to read in the summer time. Reading it during the summer made me even more excited about it being summertime!